Could cancer be a result of the functional degradation of a cellular photon absorption pathway that is basic to the production of ATP, the cellular energy molecule? And could tumor cells merely be executing an age-old survival program they retained from the time of unicellular existence? An interesting new hypothesis of cancer causation spells out why some cells all of a sudden start dividing to form tumors, and how that urge to sustained growth could likely be 'switched off. Heinrich Kremer MD, a German doctor known for his dissident work in the area of AIDS, has made a revolutionary discovery on cancer genesis, based on research into cell symbiosis. Kremer points out that in cancer, there is a functional breakdown of a photon-mediated pathway for ATP synthesis in the mitochondria of our cells. This eventually leads to what might be called a personality change of cells. Losing communication with each other and thus believing that they are 'on their own', the cancer cells revert back to a prehistoric state where the only way to survive was to multiply and form colonies. These colonies form tumors in the human organism and at times cause problems, such as reduced circulation or impaired function of an organ. Kremer also maintains that our current understanding of how cells produce the energy molecule ATP is fundamentally flawed, and he says that is why our efforts to find a cure for cancer have so far failed. ATP production, according to Kremer's research, is not based on chemical energy release, as taught in universities today, but rests on the absorption of photons of light from the zero-point quantum medium. The details of Kremer's discovery are absolutely fascinating and the new theory also points to a simple biological cure. Curcuma, a root vegetable used abundantly in oriental cooking, has anti-cancer properties and Kremer explains how it is able to intervene in the process to turn the tide on the disease. Dr Kremer's paradigm changing discovery brings to mind another piece of cancer research that made headlines recently: Researchers at the University of Alberta have found that dichloroacetate (DCA), a simple, cheaply available substance, can successfully revive the mitochondria - our cellular ATP generators - which are somehow switched off in cancer cells. That Canadian research is being kept quiet though, because no one has figured out yet how or why DCA works. Perhaps Kremer's discovery of the ATP photon pathway could shed some light? In western countries every third person suffers from some form of cancer, every fourth person dies of it. The prognoses of the WHO state that by the year 2050 half of all mortalities will be due to a cancerous disease. According to the prevailing cancer theories chance defects (mutations) in the DNA in the nucleus, which are regarded as irreparable, are considered to be the primary cause of the disease. Standard therapy in oncology (operations, chemotherapy and/or radiation therapy) is based on this assumption. The cure rates of cancer (minimum of 5 years survival after diagnosis) are given as being 45% (22% surgical treatment, 12% radiation therapy, 5% chemotherapy, 6% combined standard therapies). 60 �70% of patients with incurable cancer are palliatively treated with radiation therapy, 50% with chemotherapy and less than 1% of the patients are treated surgically (EU data, 2003). In the USA, for instance 20% of the overall health budget is spent annually on chemotherapy for cancer patients. The Nobel Prize winner Professor Watson, who together with Crick discovered the double helix of DNA in the nucleus, the most prominent promoter of the 1971 "War on Cancer" succinctly declared in 2003: "First we have to understand cancer before we can cure it". The background to this sobering thought after decades of most intensive research efforts and a massive capital injection is the fact that the classic mutation theory of oncogenesis has been forever shaken by newer research. Under the mutation theory a tumor colony develops from a single "degenerated" body cell that through uncontrolled division is thought to pass on identical DNA defects to all daughter cells. However, it has become apparent that each individual cancer cell, even within the same tumor of a patient, features a different genetic variation. The "Cell Dyssmybiosis Concept" (Kremer 2001) explained for the first time the six "acquired capabilities" of cancer cells as an evolutionary-biologically programmed natural (albeit overregulated) protective switch of the divisionally active human cells during permanent chronic cell stress. The origin of this concept was the evolutionary-biological discovery that humans owe their biological existence, like all nucleic single- or multi-cellular creatures (eukaryotes), to a unique act of integration deep in the history of evolution. Roughly 2 billion years ago two unicellular organisms without nuclei from the archaea and bacteria domains fused to a new single cell type that is now termed protista. Comprehensive comparative sequence analyses regarding the genetic make-up and specific proteins of archaea, bacteria and a multitude of eukaryotic organisms including humans produced an astonishing result: About 60% of the genes in a human nucleus originate from the primeval archaea (A genome) the remaining genes having a bacterial origin (B genome), which in particular in the nucleus are delegated by the bacterial symbionts that have survived up until today in all human cells as mitochondria (on average 1,500 per cell). 4. Hitherto perceptions about the synthesis and function of ATP molecules, the basis of all cellular biological medical theories, are, however, objectively false. ATP has 3 molecule groups: 1 base adenine ring molecule that absorbs the light quanta near to ultra-violet levels of 270 nm, 1 sugar molecule with 5 carbon atoms as well as a 1 molecule string with 3 phosphate groups. The current dogma, based on a theory formed more than 60 years ago by the later Nobel Prize winner Lippmann, is that electron energy is transferred in the respiratory chains of mitochondria (of which there are literally thousands in every mitochondrion as shown by EM photographs) on discharge of "energy-rich" electrons from nutrients via a kind of electrochemical battery, to protons which for their part drive ATP synthesis energetically and store their surplus energy in the phosphate bonds of ATP. These "energy-rich" phosphate bonds of ATP transported into the cytoplasm then release this stored energy via hydrolysis mainly to maintain the energetic processes of cell metabolism. Biochemical experiments have clearly shown, however, that the phosphate bonds of ATP are not especially rich in energy and on hydrolysis only heat energy is released that can at the most be used for heat production by isotherm cells (constant cell temperature). The fundamental question of the actual mechanism for the acquisition of cell energy remains unanswered. This fact explains the predominant failure of cancer prevention and therapy up until now. 5. Biochemistry and medical science have failed to this day to explain the function of the adenine groups of ATP as no biochemical reaction with this adenine ring molecule is shown. However, an understanding can be gained, within the framework of the cell symbiosis concept, from the biophysical attributes of light absorption of the adenine group. All essential components of mitochondrial cell respiration are light absorbing molecules with characteristic "frequency windows" of absorption maxima from nearly UV spectrum to the longer wave yellow/orange spectral range of visible light up to ca. 600nm. Yet the source of the electromagnetic energy is not sunlight. In fact a low frequency pulsating electromagnetic field is induced by the constant flow of uncoupled, paramagnetic aligned electrons in the respiratory organelles. The electromotive power generated by this process is catalytically enormously strengthened by the enzyme complexes of the respiratory chain (acceleration factor1017). This effects an interaction between the electrons and the protons likewise aligned parallel to the induced magnetic field dependent on the strength of the magnetic field between the antiparallel aligned electrons and protons. This process produces a quantum dynamic transfer of information via photon exchange energy. The source of photons is ultimately fluctuations of resonance frequencies of the physical vacuum (zero-point energy field). The transferred information is stored in the spin of the protons that proceed to the ATP synthesis complex via proton gradients. There the resonance information is transferred by a unique rotation system to the adenine group of ATP whose electrons can move freely in the alternating double bonds of the ring molecules. The ATP serves as an "antennae molecule" for the reception and relaying of resonance information from the "morphogenetic background field". Human symbiosis is consequently not a heat power machine but a light frequency modulated information transforming medium. All the time this cell symbiosis is resonance coupled with the lowest not yet materialized energy status (physical vacuum as inexhaustible "global information pool"). The result is a polar program reversal: The transformed cancer cells remain trapped, dependent on the degree of malignancy, in a continuous cell division cycle and can not switch back to the differentiated cell performances of the respective cell types without biological compensatory aid. According to recent clinical knowledge the cancer cells become especially malign and disperse massive metastatic cells when the O2 supply to tumor cells via capillary blood vessels is impeded. In these cases chemotherapy and radiation treatment are no longer effective as without the presence of molecular oxygen programmed cell death of the cancer cells can no longer be induced. In this situation cancer patients are considered incurable by oncologists using standard cancer therapy. The cell symbiosis concept postulates that when the cofactor O2 is deficient then the even more effective cyanide gas (CN-) is formed insteadof CO. CN- is in humans the strongest mitochondrial respiratory poison and produces an even stronger phase switching of the absorption of visible light, probably by the well known inhibition of the reduction of trivalent irons to bivalent irons of certain hemocytochromes of the respiratory chain. This hypothesis can support the evolutionary-biological views of the cell symbiosis concept as cancer cells regress de facto to unicellular organisms (as a result of the loss of cell to cell communication with neighboring tissue cells) and that is why they behave like "cell parasites" (4th, 5th, and 6th "acquired capability" of cancer cells). Cancer cells represent in this sense a regression to the early eukaryotic stage of a single cellular protista colony and so use as a strategy of survival the conserved archive of evolution in human nuclear genomes depending on the actual given milieu conditions of the individual cancer cells (for the individual genetic variations, see above). cancer cells in the 4th complex of the respiratory chain despite simultaneously intact messenger RNA and intact mitochondrial DNA, without being able to explain this phenomenon. However, at the end of 2002 a cancer research group from Helsinki University, after many years of animal experiments and clinical studies, were able to exactly document for the first time - using electronmicroscopes and mass spectrometers � that the transformation to cancer cells is actually caused by the loss of control of the cell division cycle of the mitochondria. The clinical research team could demonstrate that the tumor cells after a relatively short time had re-programmed to intact, normal differentiated cells without signs of programmed cell death by using a particular experimentally mediated bioimmunological compensation therapy on various human cancer diseases. These patients under conventional tumor therapy had a survival status of on average less than 12 months. In 2003 researchers from the Anderson Cancer Research Center of the University of Texas in Houston published the first wide-ranging overview about the hundreds of animal experiments on the effects of curcumin, the active ingredient of turmeric (Curcuma Longa, from the ginger family, biochemically, curcumin I from the molecular family of polyphenols, also termed bioflavonoids, synthesized from plants) on cancer cells and metastases. The researchers were amazed to discover that curcumin effectively inhibited nearly all signal paths in tumor cells and metastases. The researchers were unable to provide an explanation to this wide-ranging effect. The actions of curcumin can, however, be explained if you know that curcumin in the violet spectral range of visible light absorbs with nearly the same wavelength - 415 nm - as the electron-transferring molecule cytochrome c that is more rapidly broken up by the protective enzyme hemoxygenase in cancer cells. In cancer cells curcumin, so to say, bridges the III and IV complex photon switch "short-circuit" of the respiratory chain in mitochondria and thus normalizes the information transfer for maintaining modulation of ATP. The quoted research data show that (in opposition to the prevailing cancer theories of supposedly irreparable gene defects in the nucleus) the demonstrated functional disruptions of the transfer of information in cell symbionts can be re-normalized by means of an adequate biological compensation therapy. The concept of cell symbiosis therapy (Kremer 2001) derived from knowledge gained from cell symbiosis research has in the meantime led to spectacular therapeutic successes (in individual cases even in cancer diseases that had been declared incurable). There is a broad spectrum of classes of substances responding to natural light available and the potential is by no means exhausted. What is desperately needed, however, is a comprehensive overhaul of the current state of research with the aim of developing optimized therapeutic formulations and to make them available for clinical and therapeutic practice. Admittedly, achieving this purpose through an interdisciplinary research group within the established health system is not to be expected in the foreseeable future, as conventional medical science has largely remained stuck in the one-sided thermodynamic energy concepts of the 19th Century. The researchers determined from cultures of human embryonic kidney cells that lower caloric intake sends a signal that activates a gene inside cells that codes for the enzyme NAMPT (nicotinamide phosphoribosyltransferase). The two- to four-fold surge in NAMPT in turn triggers the production of a molecule called NAD (nicotinamide adenine dinucleotide), which plays a key role in cellular metabolism and signaling. The uptick in NAD levels activates the SIRT3 and SIRT4 genes, increasing levels of their corresponding SIRT3 and SIRT4 enzymes, which then flood the interior of the mitochondria. Sinclair says he's not sure exactly how SIRT3 and SIRT4 beef up the mitochondria's energy output, but that events leading to cell death are at the very least delayed when there are vast quantities of the enzymes. Very interesting article here. 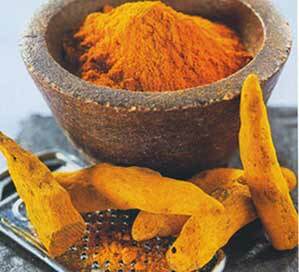 In Ayurveda tumeric is eaten often as a blood cleanser. Did you know that there is tumeric in yellow mustard? Could eating your daily french\'s mustard be a preventive measure for caner? Just an idea. This article is a very hard read. If someone wants to introduce a new and radical concept, they have the responsibility to make it credible and comprehensible for intelligent readers in the field. I don\'t understand the article and would appreciate links to other URLs with easier introductions. Zoomer, the article was originally written in German and the English translation is a bit rough. But the concept is certainly interesting. I think it\'s a hard read for anyone,let alone the average reader, as it links a paradigm shift in the understanding of how ATP is generated with a requirement to have some understanding of quantum theory, and it\'s a rare bird that can encompass both. But I suspect that in due course we will all be thinking this way. I can smell a Nobel Prize here. I'm no scientist, but isn't this light from the zero point field/light in our cells idea from Gurvitch and Popp? I'd be very interested to read further on the ATP/light connection if you know of any links (bearing in mind I don't have access to journals). I also wonder why sunlight has been dismissed as a source of the light unless someone's trying to 'prove' the existence of Qi. Hmmm... Yes I've read The Rainbow and the Worm and have heard about sun-gazers. I wonder when this guy's 'stores' will run out. I don't understand why you would say orders of magnitude too strong... the body would surely have some form of transformer or filter... and why would direct channelling be a necessity? What about the pineal gland and step down storage systems. Obviously I'm just thinking out the top of my head. It's just a gut feeling about the source of all energy and the sun, or maybe via the sun from the 'vacuum'. Well .. best left to my personal musings. Thanks anyway. -About carcinogenesis- Electronegativity is a nucleus of an atom's ability to attract and maintain a cloud of electrons. Copper atom electronegativity is higher than the Iron atom electronegativity. Atom with lower electronegativity (Iron),remove the atom with higher electronegativity (Copper) of combinations. This means that,in conditions of acidosis, we have cytochrome oxidase with iron (red, neoplastic), instead of cytochrome oxidase with copper (green, normal).I think this is the key to carcinogenesis. "Duality of cytochrome oxidase. Proliferation(growth) and Differentiation(maturation) cell." Cytochrome oxidase is present in two forms, depending on the context of acid-base internal environment: 1.- Form acidic (acidosis), which contains two Iron atoms, will be red, will absorb the additional green energy of the hydrogen atom, derived from carbohydrates, with formation of H2O, metabolic context that will promote cell proliferation. 2.-Form alkaline (alkalosis), containing two copper atoms, will be green, will absorb the additional red energy of the carbon atom, derived from carbohydrates, with formation of CO2, metabolic context that will promote cell differentiation. According to the principle electronegativity metals, under certain conditions the acid-base imbalance (acidosis),iron will replace copper in combination, cytocromoxidase became inactive (it contains two copper atoms) leading to changing oxidation-reduction potential, BUT THE COLOR FROM BLUE-GREEN, TO REED, to block the final biological oxidation and the appearance of aerobic glycolysis. -In addition- "Inner Light -Light of Life." (Correlation between the chemical structure of the cell (body), and type of energy that can produce and use). In connection with my research proposal, to prove that the final biological oxidation, in addition to an oxidation-reduction process takes place and a photo-chemical process, the first in the electron transfer, the second in the energy transfer. In my opinion, at the basis of malign transformation is a disturbance of energetical metabolism, which reached a level that cell can not correct (after having succeeded before, many times), disturbance that affects the whole body in different degrees and requires corection from outside starting from the ideea that the final biological oxidizing takes place through photochemical process with releasing energy. If the structures involved in biological oxidation finals are colored, then their energy absorption is made based on the principle of complementary colors. If we can determine the absorption spectrum at different levels, we can control energy metabolism by chromotherapy - EXOGENOUS MONOCHROMATIC IRRADIATION . Energy absorption in biological oxidation process itself,based on complementary colors, the structures involved (cytochromes), is the nature of porphyrins, in combination with a metal becomes colored, will absorb the complementary color, corresponding to a specific absorption spectrum, it will be in - ENDOGENOUS MONOCHROMATIC IRRADIATION. Malignant transformation occurs by energy metabolism imbalance in power generation purposes in the predominantly (exclusively) of the hydrogen atom of carbon oxidation is impossible. Thus at the cellular level will produce a multiplication (growth) exaggerated (exclusive),energy from hydrogen favoring growth, multiplication, at the expense of differentiation (maturation). Differentiation is achieved by energy obtained by oxidation of the carbon atom can not take, leading to carcinogenesis. The energy metabolism of the cell, an energy source is carbohydrate degradation, which is done by OXIDATIVE DEHYDROGENATION AND OXIDATIVE DECARBOXYLATION ,to obtain energy and CO2 and H2O. In normal cells there is a balance between the two energy sources. If cancer cells, oxidation of the carbon atom is not possible, the cell being forced to summarize the only energy source available, of hydrogen. This disorder underlying malignant transformation of cells and affect the whole body, in various degrees, often managing to rebalance process, until at some point it becomes irreversible. The exclusive production of hydrogen energy will cause excessive multiplication, of immature cells, without functional differentiation. Exclusive carbon energy production will lead to hyperdifferentiation, hyperfunctional, multiplication is impossible. Normal cell is between two extremes, between some limits depending on the adjustment factors of homeostasis. Energy from energy metabolism is vital for cell (body). If the energy comes predominantly (or exclusively) by oxidation of the hydrogen atom, green energy, will occur at the structural level (biochemical), acidification of the cellular structures that will turn red, so WE HAVE MORPHOLOGICAL AND CHEMICAL STRUCTURES "RED", WITH "GREEN" ENERGY. This background predisposes to accelerated growth, without differentiation, reaching up uncontrolled, anarchical. ENERGY STRUCTURE OF THE CELL BODY WOULD BE INN. If necessary energy cell derived mainly by oxidation of the carbon atom, red energy,cell structures will be colored green, will be alkaline(basic), so WE HAVE MORPHOLOGICAL AND CHEMICAL STRUCTURES "GREEN", WITH "RED" ENERGY, on the same principle of complementarity. This context will lead hyperdifferentiation, hyperfunctional ,maturation, and grouth stops. ENERGY STRUCTURE OF THE CELL BODY WOULD BE YANG. I want to experiment demonstrate that an energy metabolism disorder that could be corrected after several times by means of maintaining acdo-base balance within normal limits, has becomeirreversible by depleting these resources. Acid-base balance and its adjustment mechanisms underlying this disorder. -In addition- "Life balance: Darkness and Light - Water and Fire - Inn and Yang". Cytochrome oxidase structure has two atoms of copper. It is known that in conditions of acidosis (oxidative potential), the principle electronegativity metals, copper is removed from combinations of the Iron. So cytochrome oxidase will contain two atoms of iron instead of copper atoms, which changes its oxidation-reduction potential, but (most important), and color. If the copper was green, the iron is red, which radically change its absorption spectrum, based on the principle of complementary colors. If neoplastic cells, because acidosis is overactive acid form of cytochrome oxidase (red with iron atoms), which will absorb the additional green energy hydrogen atom (exclusively), the production of H20 , so water will prevail, in Schizophrenia , neuronal intracellular alkaline environment, will promote the basic form of cytochrome oxidase (green with copper atoms), which will oxidize only carbon atoms, the energy absorption of red (complementary) and production of CO2, so the fire will prevail. Drawn from this theory interdependent relationship between water and fire, of hydrogen(H2O) and carbon(CO2) ,in a controlled relationship with oxygen (O2). A body with cancer disease will become chemically color "red"-ACID-(as evidenced by laboratory), and in terms of energy, green ( Color-Energo-Photography). A healthy body will be in terms of "green"-Alkaline-(as evidenced by laboratory), and in terms of energy, red (visible by Color-Energo-Photography). "Green" body with alkaline chemical structure, with connection Carbon energy C = O (carboxilic acids), and red energy, from oxidation of carbon atoms derived from carbohydrates. "Red" body with acid chemical structure, with connections Carbon non-energy C-OH, (non-energy, phenolic acids, with strong oxidizing, prone to multiplication), and green energy , which comes from oxidation of hydrogen atoms derived from carbohydrates).